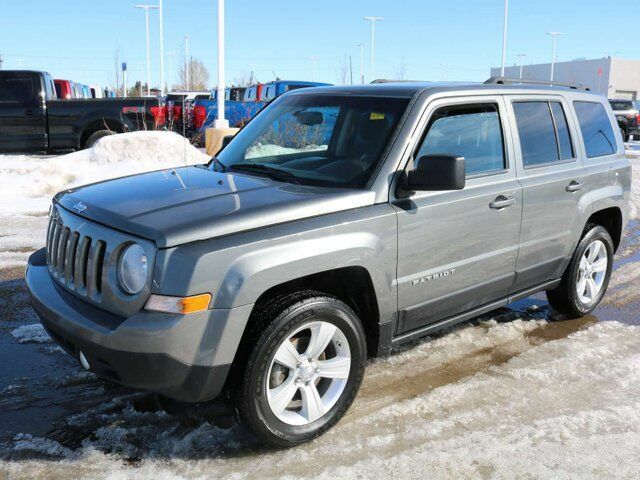 You'll love the comfort, utility, and versatility of our 2012 Jeep Patriot 4X4 brought to you in Gray! Powered by a 2.4 Litre 4 Cylinder that generates 172hp while paired with an Automatic transmission. Enjoy near 8.4 L/100km on the highway and genuine Jeep capability that is sure-footed even when road conditions are less than ideal in this Four Wheel Drive. There's a lot to like about the rugged, yet handsome physique of our Jeep Patriot that is accented with rear privacy glass, roof rack side rails, and foglamps. The interior of our Patriot has been carefully designed to meet your demands with lots of storage options, large gauges, comfortable heated front cloth seats, a steering wheel with audio controls, a sunroof, and a nice sound system with a CD player and auxiliary audio jack. Our Jeep Patriot Sport has received top safety ratings thanks to anti-lock brakes, stability and traction control, active front head restraints and side curtain airbags. Providing a stable, confident ride with versatility and utility that exceeds your expectations, this is the intelligent choice! Print this page and call us Now... We Know You Will Enjoy Your Test Drive Towards Ownership! AMVIC Licensed Dealer.